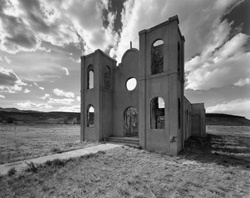 Alan Ross is a renowned photographer and educator who combines his unique vision with traditional photographic methods and cutting edge technology. 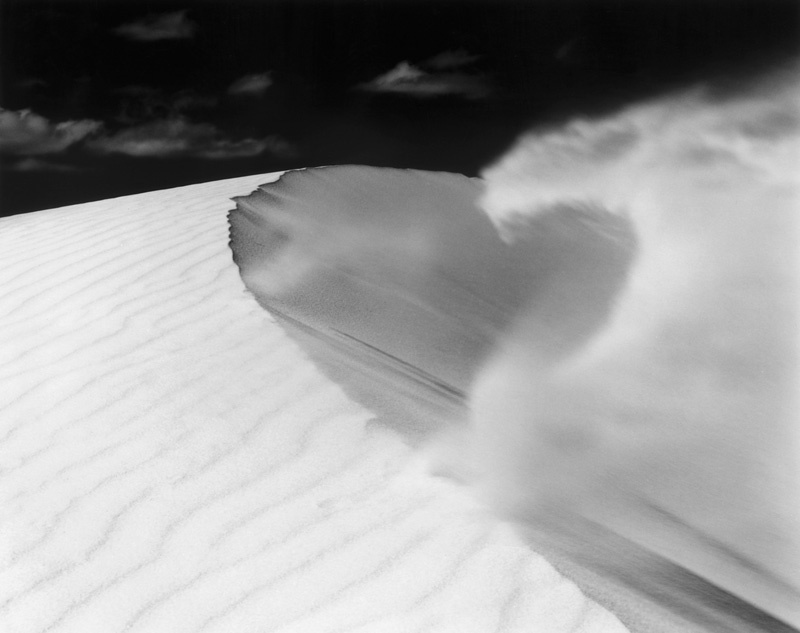 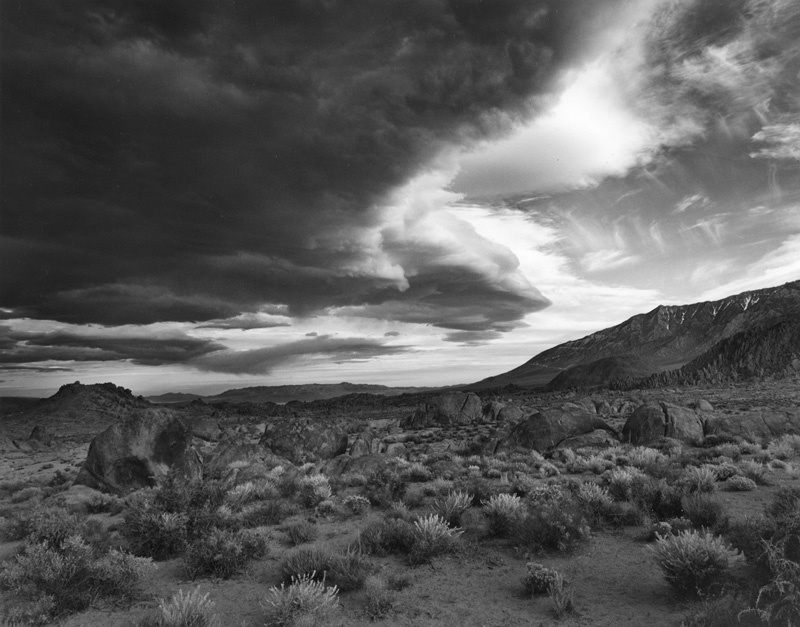 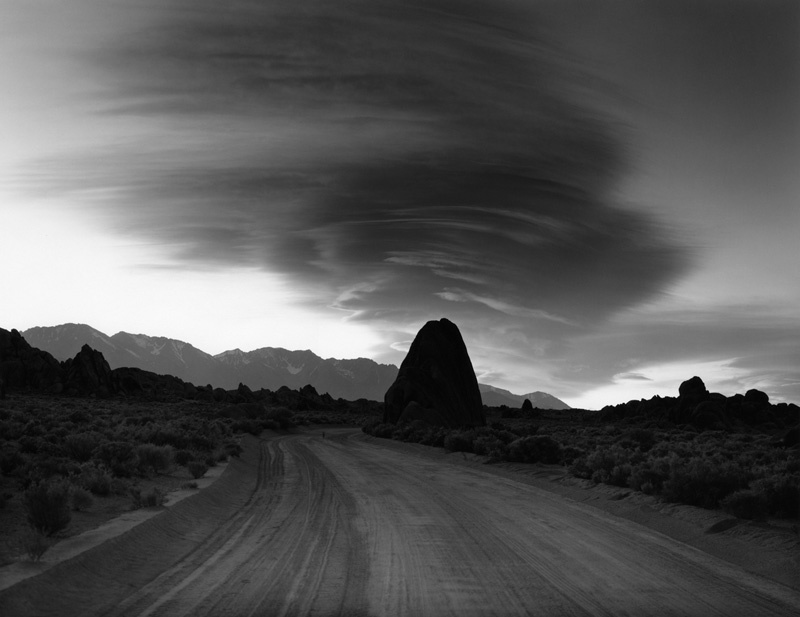 His spectacular photographs of western American deserts, forests, canyons and mountains are a pure visual and emotional response to subject matter executed with an exacting eye and superior technical skill. 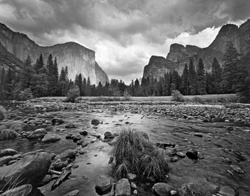 Ross is also a consummate instructor, leading workshops from Santa Fe to Yosemite to China where he teaches professionals and amateurs to be prepared for the moment when light, beauty and chance provide a unique photographic opportunity. 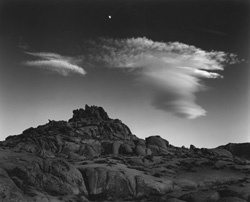 Ross shoots primarily with an 8x10 view camera but also produces work with smaller format cameras. A master printer, he prints his own silver gelatin print photographs in limited editions of 100 to 150. 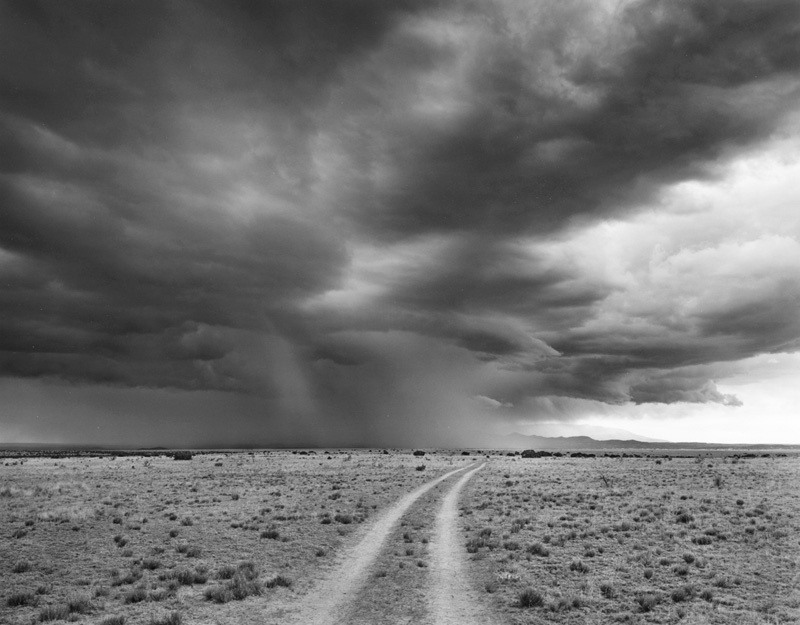 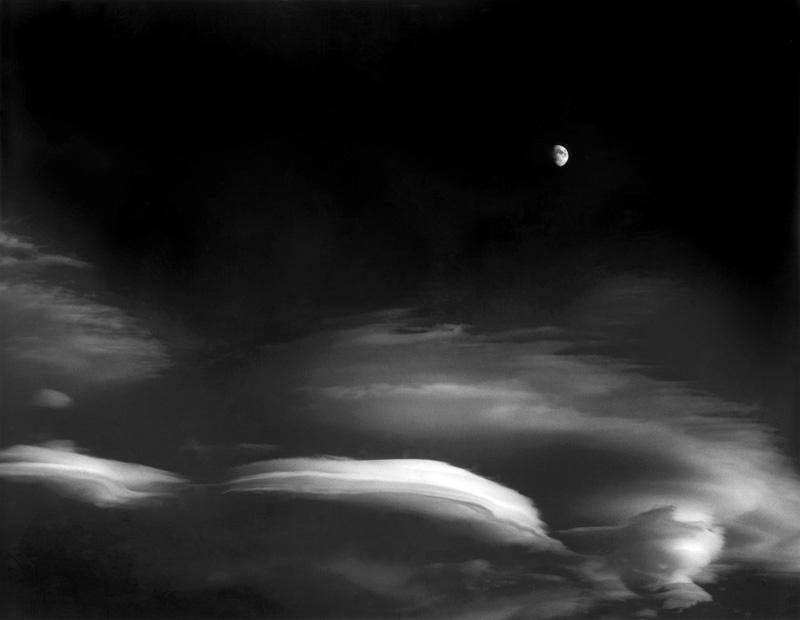 "Farm and Clouds Mule Creek, New Mexico," 1986, one of his best known works, was shot on the New Mexico/Arizona border of rolling grass-covered hills beneath a cloud-swept sky. 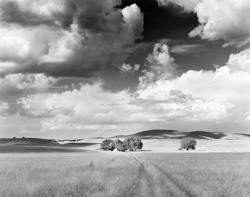 Ross centered the photograph on a grove of trees at the end of a dirt track where sunlight and shadow played over the prairie. Later in the darkroom he used his considerable technical skills to bring out the wide range of middle grey tones in this exquisite image. Alan Ross was born in Chicago in 1948 and grew up in Sausalito, California. 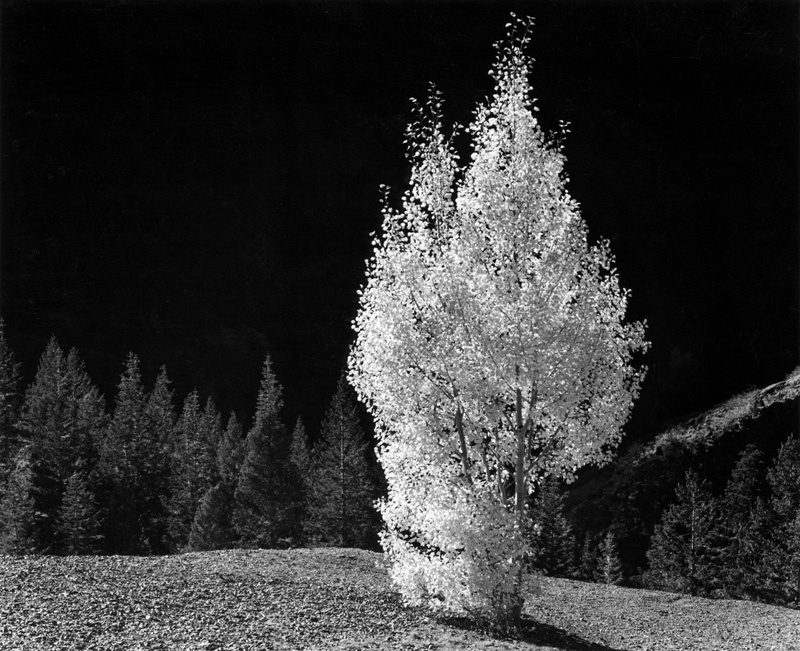 As a boy he knew photography was going to be part of his life when a friend showed him a contact sheet from his father's darkroom. 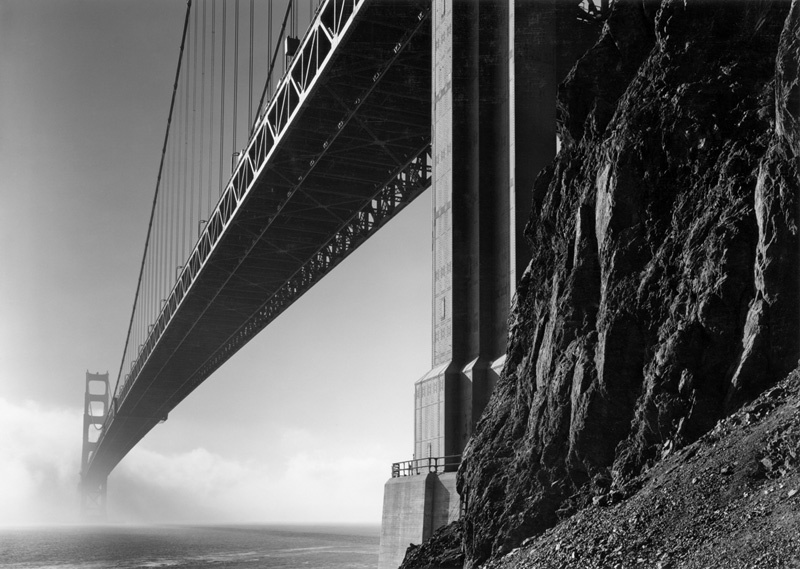 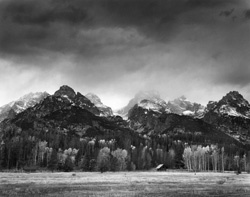 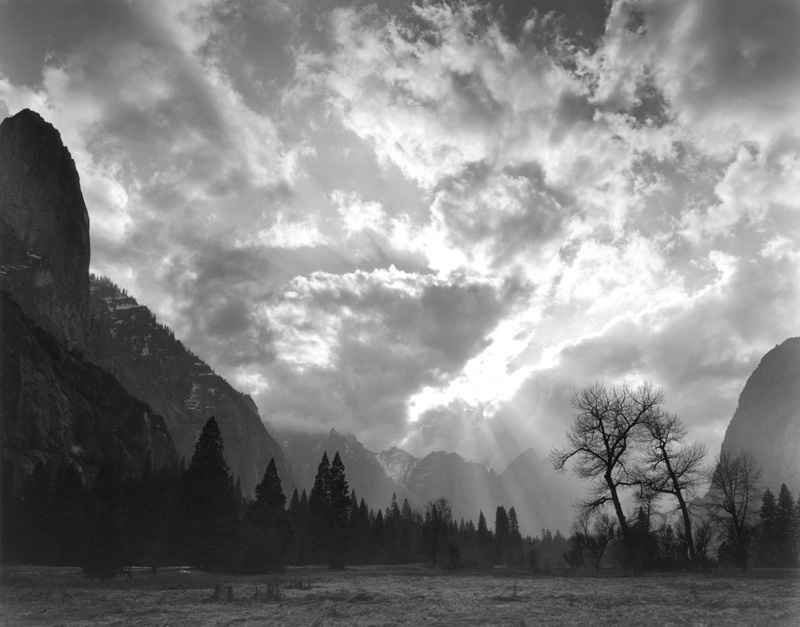 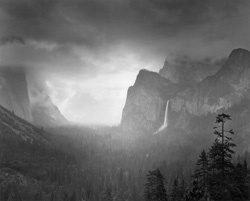 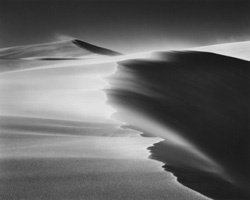 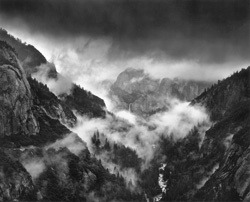 After a stint as first assistant in a San Francisco advertising photography studio, he met Ansel Adams and in 1973 was hired by him to assist his Yosemite photographic workshops. 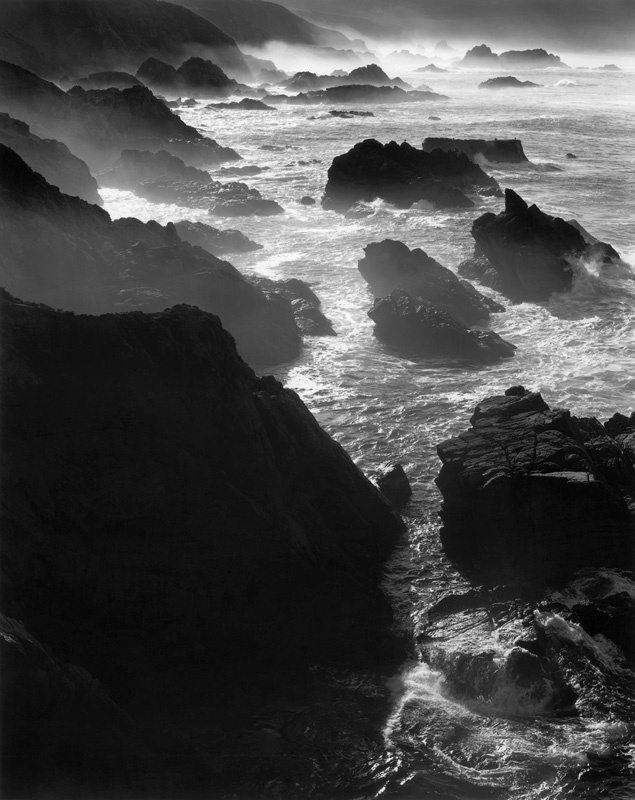 By 1974 Ross was working full-time for Adams and had become (and still is) the exclusive printer of Adams's Special Edition Prints for the Ansel Adams Publishing Rights Trust. 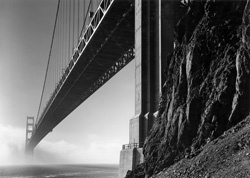 In 1979 Ross moved from Carmel to San Francisco where he ran his own commercial studio for twelve years. Wanting to pursue his own photographic vision he sold the business and moved to Santa Fe with his wife in 1993. 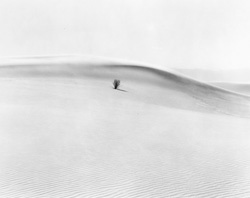 Ross's photographs are in the collections of the San Francisco Museum of Modern Art; University of Michigan Museum of Art; Princeton University Art Museum; Museum of Fine Arts, Houston; Polaroid Corporation; Yale Museum of Art; Center for Creative Photography, Tucson AZ; Rochester Institute of Technology, and other public and private collections. Alan Ross lives in Santa Fe.